Looking for a Doll House? 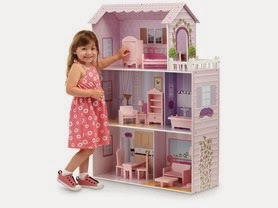 Hurry over and check out this Fancy Mansion Dollhouse WITH Furniture for $69.99 (Retail $219). At this price I'm sure this well go QUICKLY.